Perhaps the most universally loved and debated city in the world sits high in the Judean hills a mere 35 miles east of the Mediterranean Sea and 20 miles north west of the Dead Sea.. Dating back thousands of years, Judaism traces its roots to Abraham and Isaac at Mount Moriah over 3500 years ago. Follow the history through recently excavated ruins of King David’s City and the Hezekiah Tunnel (outside the centuries old Turkish-Ottoman Wall). Inside the Old City walk through the Christian, Armenian, Arab and Jewish quarters (shouk) to the Western Wall of King Solomon’s Temple. 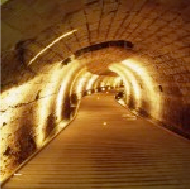 Wander into the tunnels adjacent to the Wall that are the actual bedrock of this ancient and majestic place. Trace the route that Jesus walked along the 14 Stations of the Cross ending in the Church of the Holy Sepulcher. Walk on the Temple Mount, where Isaac was saved from sacrifice because Abraham found a small lamb in the nearby thicket. This created a pact between God and the Jewish people that human sacrifice would never be asked of the Jewish people. It is also the site of the Moslem sacred Dome of the Rock and Mosque of El Aqsa. The rebirth of Jerusalem outside the walls began over 150 years ago and your sightseeing here will include Yad Vashem, the Memorial to the 6 Million; the Israel Museum and Shrine of the Book housing the Dead Seas Scrolls; the Herzl Museum and Military Cemetery; and Hadassah Hospital with its’ famed Chagall Windows. You may wish to include a stop at the Garden Tomb and the Center for Near Eastern Studies of Brigham Young University. All of this before you wander through a pedestrian mall on Ben Yehuda Street or thru Mamilla to browse shops and galleries or just seat yourself at a café to have a coffee or an ice cream. 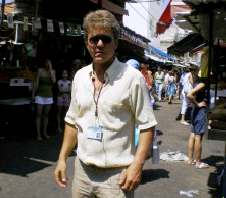 It is a way to meet the local Israelis and pass some time people watching. A minimum of 3 nights in this glorious city is an absolute necessity. 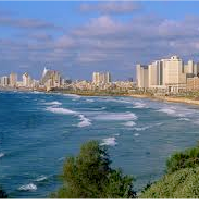 This beautiful city hugging the coastline of Israel was recently voted one of the top 10 destination cities in the world. Whether you are looking for a 5-mile stretch of Mediterranean beach, world class hi-styled shopping, great art galleries and jewelry made by local artisans or wish to explore the museums tracing the founding and modern history of Israel, Tel Aviv will have something for you. A little over 100 years ago a group of Jews residing within walled Jaffa decided to expand into the sand dunes outside of these walls. They purchased land from the Ottoman Empire and with string and poles laid out streets. With picks and shovels these pioneers began to build homes, schools, a synagogue and businesses. The arrival of immigrants from Western Europe led to a new building form and the now famous White City of Bauhaus design was built at what was then the northern edge of town. Today this section is not only a World Heritage sight but has become the heart of Tel Aviv’s gentrified neighborhood. 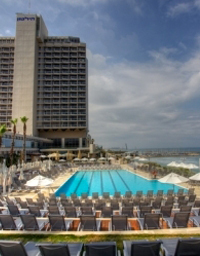 If nightlife, great food, shopping and sightseeing are part of your plans along with a stroll on the beachfront promenade and crystal white sand beach, Tel Aviv deserves 2-3 nights of your travel itinerary. 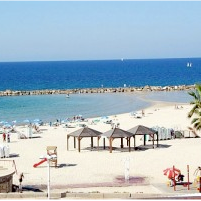 Traveling north from Tel Aviv you’ll pass the beautiful towns of Herzliya, Netanya and arrive at the ancient fortress of Caesarea. Built by King Herod over 2000 years ago, it was ruled at different times by the Romans, Crusaders and Ottoman Empires. The theater, built by Herod under the Romans is still in use today. Well known artists perform outdoor concerts during the summer. A special brand of Shakespeare “by the Sea” is a major attraction. At certain times of the year you might even have access to tickets of the world renowned Israeli Philharmonic.. Continuing north, pass through the “Silicon Valley” of Israel noting research and development centers of Apple, Microsoft, Google, Intel, Motorola, and Cisco, just to name a few. 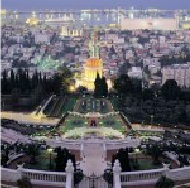 Proceed into Haifa and explore the Carmel Mountains, Bahai Shrine, and perhaps a Druze Village along the way. You might continue north around the bay to Akko and explore the partially restored Crusader fortress there. Traveling to the very north of the country takes you to Nahariya and the beautiful grottos carved by the ocean tides over thousands of years. 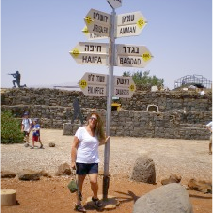 This section of Israel including Tiberias, is filled with National Parks. 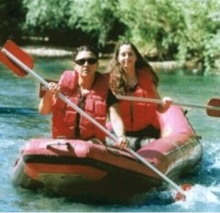 Waterfalls, Rivers and natural pools abound through the center and north of Israel. You might consider visiting Megiddo (Armageddon) and walk through restored structures and the ancient water tunnel; Bet She’an, a famed Skits and then Roman city that is being unearthed and now covers hundreds of acres of land. Enjoy the restored bathhouse, Roman Temple, and main street where an earthquake felled columns over 1200 years ago. Wander into the theater and find the place of perfect acoustic sound. From Bet Shean you may continue to Bet Alpha and see the mosaic of a synagogue almost 2000 years old. Try the playground of Sachne for a relaxing dip in cool waters fed by underground springs. Passing through bird sanctuaries and Kibbutz farmlands and factories will bring you into Tiberias, well known for the healing power of its hot springs. At the northern end of the Kinneret (Sea of Galilee) you visit Capernaum and see the ancient fishing boat (possibly like one in which Jesus may have sailed) recently recovered from the Sea and restored to perfection. 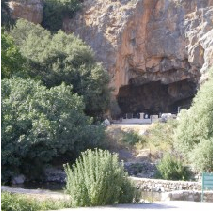 The northern Galilee is mountainous and offers more National Parks like Banias (the spring of the upper Jordan River) or Nimrod’s fortress. Continue into S’fat, the town of mystics and the Kabala. Wander the artist colony and enjoy the beautiful handmade candles, woodwork, religious articles and artwork. Exploration continues to the Lebanon Syria border. At Har Bental you can visit an Israeli military outpost used during the 1973 war. Stop at one of the many fine wineries to learn about local wines now highly recognized around the world. Of course your will have an opportunity to sample some as well. Recommended time here is a minimum of 2 nights. No trip to Israel is complete without exploring the Dead Sea, Qumran and Masada. This can be done as a day trip from Jerusalem (allow an extra night’s stay in Jerusalem for this). You’ll have an opportunity to take the cable car to the top of Masada and walk through history where the Jews withstood the onslaught of the Romans after the destruction of the 2nd Temple. Rather than surrender, lots were drawn and with storehouses filled with food and cisterns filled with water the families took their own lives. 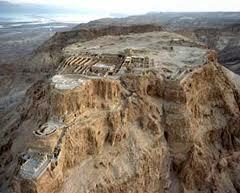 “Masada Shall Never Fall Again”. Traveling to the lowest point on earth, you wander into the Dead Sea to float and cover your body with the healing mud of the mineral laden water. Stop at Qumran for lunch and explore the caves where the Dead Sea Scrolls were discovered in the 20th century. Should you choose to continue south you’ll pass through Beersheva and enter the heart of the Negev Dessert. Travel to Mitzpe Ramon and explore the massive and magnificent crater, stop at Avdat to see Nabatean Ruins, during certain times of the year you can enjoy bird migrations that extend thousands of miles along the Arava rift . Explore Sde Boker, home of David Ben Gurion, the first Prime Minister of the modern State of Israel. See the Ben Gurion University Solar Center and then to Timna, copper mines of King Solomon before you enter the resort town of Eilat. Here you can swim, snorkel or SCUBA in the crystal clear water of the Gulf of Aqaba. You might even wish to enjoy a thrilling swim with the Dolphins experience. Eilat is not only famous for its beautiful beaches but has great nightlife and is the entry point for a day trip to Petra. If you are traveling to Petra a minimum of 3 nights should be planned through the Negev and Eilat..
Israel offers you an opportunity for a dream vacation in which you can combine fun and entertainment with exciting experiences. 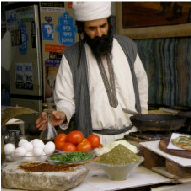 A visit to Israel includes not only the nature reserves, tourist sites, museums, and exhibitions, but also offers a great variety of opportunities for lodging. Hotels, the most common option for accommodations, are located throughout the country and offer the convenience and comfort expected by world travelers. Many of these are hotels close to urban tourist centers and major sites, while others are located in rural areas adjacent to nature and hiking preserves. Starting at the top with the most exclusive 5 star deluxe properties pampering you from the moment of arrival to well located and well run first class hotels, you will find something to fit any budget. There are boutique hotels that are meticulously designed to the smallest detail making your vacation even more personalized and special. Spa hotels offer guests additional luxuries such as massages and treatments in a romantic atmosphere amidst beautiful scenery from the coast of the Mediterranean to the shores of the Dead Sea. And don’t forget that at every hotel in Israel, the famous Israeli buffet breakfast in included. If you prefer to lodge in natural surroundings, you can choose one of the hundreds of guestrooms in Tsimmers, as they are called by Israelis, or bed and breakfasts by Americans. In the mountains, throughout the desert and the rolling countryside, Tsimmers offer attractive, well equipped accommodations where you will enjoy a quiet, pastoral atmosphere, a beautiful panorama and the personal touch of local family ownership. Israel is also famous for the Kibbutz or communal movement. 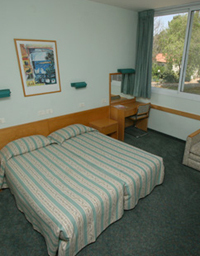 There are many lovely hotel/inn accommodations that are run by Kibbutzim throughout the country. Here you sleep in clean modest surroundings with private bath and enjoy your breakfast with the local families that live and work within the Kibbutz community. In many cases, the eggs you eat for breakfast were harvested from the chickens on the property before sunrise that day. 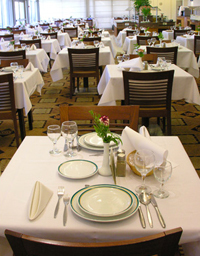 There is such a variety of lodging that it is hard to decide. Laura will work with you to determine what is right for you and your budget. What will you choose?